WHAT UP, SWAGS?! 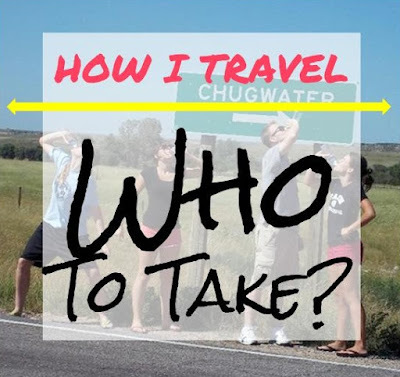 : How I Travel: Who To Take? 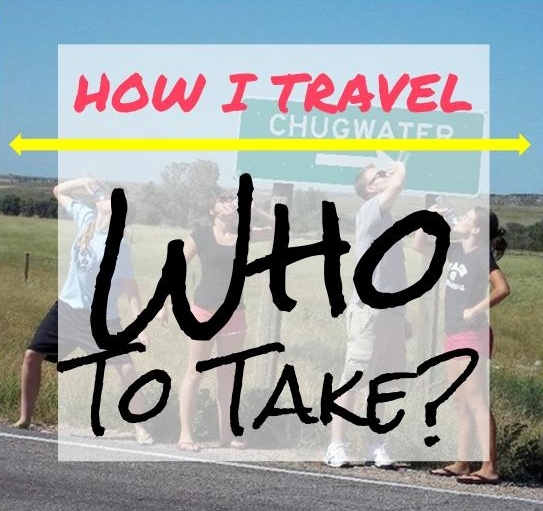 How I Travel: Who To Take? At this point, we've already talked a lot about How I Travel: When to Plan, Where to Go, and What to Pack. This fourth installment is on Who to Take, and the fifth and final post will be coming up next month! I know a lot of people may plan who will be going on the vacation first, but I really don't! The only time I really take this into consideration earlier in the process is if I know my husband will be coming with me. I can't throw another person into the mix until after I know my date range and possible destinations. The two main reasons I don't plan around everyone else are: 1) other people's free time doesn't always match mine, and if I'm always waiting for matching vacation times, nobody will ever get to go anywhere; and 2) I am not very motivated to spend money going somewhere that I'm not really interested in going to - the person who does want to go there deserves to be going with someone who is just as excited about the place as they are. Rare exceptions to this are if someone else is paying, like for a family trip - but then I'm not planning that anyway, so it doesn't really apply to my travel process! The other thing to remember is that I can put the "who to take" later in my process because I enjoy solo travel. If you never travel solo and have no desire to try it, you need to move "who to take" to number one in your process. You may have to rearrange your screening process because this is a series about "How I Travel," after all. 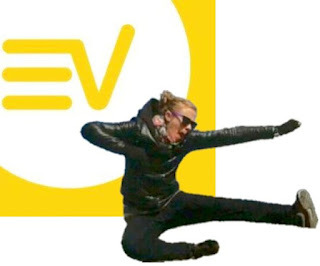 I like to move fast. Even when I'm spending a long time in one area, I move fast. I walk quickly, I think quickly, I talk quickly, and I change activities quickly. I do adapt my pace to the type of trip I am taking (my 4 days in Morocco were a lot more intense than my 2 weeks in Portugal, for example), which allows me to enjoy the company of different kinds of people. We all have different speeds, and it's crucial to meet in a place that compliments those rhythms. As much as I have enjoyed shopping throughout my life, it has taken a serious backseat during my travels. I would just rather spend my money on great food than useless trinkets. I've been places with people who wanted to buy tons of gifts, but didn't want to eat any real local meals. This made me hungry and frustrated! I want to walk around and look at things for free all day, then reward myself with an amazing restaurant afterward. Find a person who wants to spend their money on the same things, or be okay with splitting up often. I find messy people difficult as travel partners. They usually pack too much, then their stuff ends up all over my stuff, the bathroom area gets gross, and sometimes they just keep losing things and stressing themselves out. Or have you traveled with someone who needs to borrow things constantly because they don't really know how to pack? It's all the same to me, and just not something I want to deal with when trying to have an enjoyable vacation. 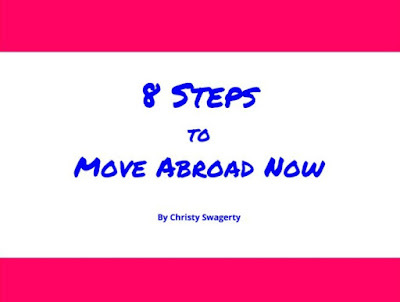 Obviously, I'm very picky, and the most evident factor in this post is that Christy Swagerty is not an easy person to choose as your travel partner! But believe it or not, some of my favorite trips of all time have not been solo. The most important thing to realize is that travel is not "one size fits all." Insisting that every vacation is great for families/couples/young people/retirees/solo travelers is incorrect. 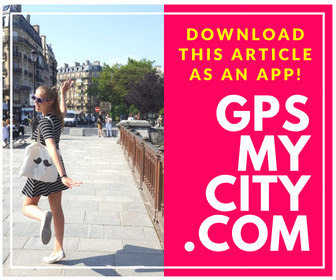 There are a lot of places that I would like to visit by myself, and there are a lot of places that I would prefer to visit with a partner or group. There are also a ton of places I don't care to go to at all that other people absolutely love. Don't let popular opinion dictate "what you're supposed to see" or "where you're supposed to go." The same goes for "who." Just because you're in a relationship, doesn't mean you have to go on every vacation with your significant other. Just because you have kids, doesn't mean every trip with them is actually a good idea. As I mentioned earlier, if solo travel is not your thing, you need to make "who to take" your top priority. Both you and your travel partner(s) can then filter through your possible dates and destinations together. Travel exists in the ever-evolving definitions of time, space, and movement. Take advantage of the freedom the world offers today. Be creative. Be bold. And choose your travel family wisely. I don't mind travelling alone or with someone as long as I am travelling! But nothing compares like going places at your own pace! Hey Ana! You're so right - aren't we all so blessed to get to see so much of the world! :) It's like when we travel soooo much, that's when we start to analyze how we do it, why we do it, and what makes it the most enjoyable for us! I love that your son (and dog, I'm guessing!) is keeping up with you! Walking fast keeps us in shape, right? :) Thanks for commenting, Christine!